Medusa called! She wants her earrings back!! Okay, so she really didn't call, and I didn't really swipe her earrings or anything. 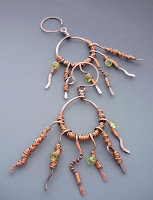 I just created earrings that she would probably have called me to special order,...ya think?! The Theme for Week 4 of Year of Jewelry Project 2011 (One Project, Once a Week, For a Year!!) was "Wild and Wicked" - that should have been easy, right? 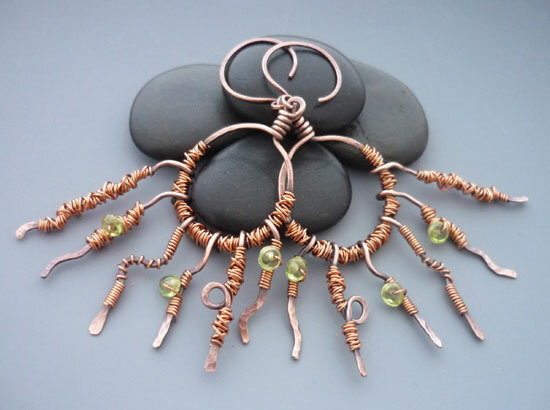 But, alas, just like every other week, so many things came to mind,...biker chic earrings, rock and roll earrings, spikey/hammered stoner earrings,.....yep, I had visions of all sorts of designs (especially earrings) dancing through my head as I slept last night,.....but this is what came out of my hands today as I created. 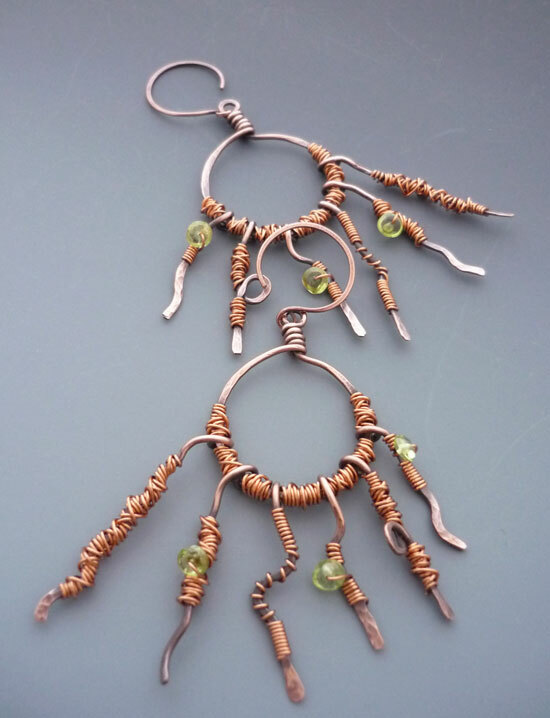 24g and 18g copper wire was formed, forged, hammered,....and hammered again and again, wire wrapped and then oxidized with LOS and polished up a bit before laying them out to photograph. 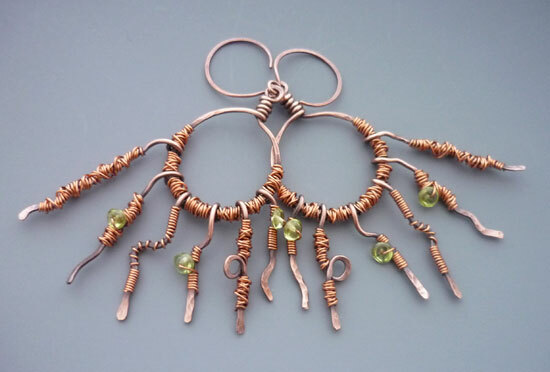 But yes, they are rather 'artsy' and I was very 'crafty' with how I 'chaos' wire wrapped portions and did some portions very neatly and how I used anti-tarnish copper and raw copper so when I dipped them in LOS only parts of them would turn colors....and the green little peridot gemstones? Cute touch, don't you think? Those, dear children, are the color of Medusa's Eyes!! I love the jewelry. It's very fun and playful. Beautiful work.